Receive detailed instructions on how to use the simulators and the SimU Campus training records management program. 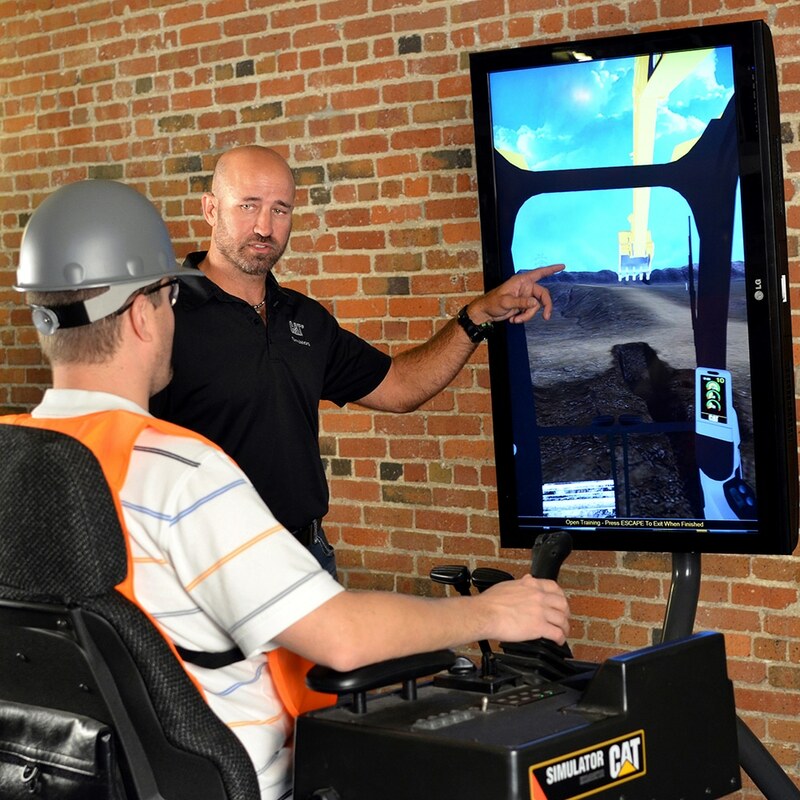 A Cat Simulators Trainer will arrive to train your organization’s key people/instructors. Simulator installation and networking (to a manager’s station) is also available. Position and functionality of all controls, switches and pedals on the simulator and what each one does. Each of the training exercises, what the objective is and why they are important. How to use SimU Campus™, the exclusive software that records and reports the results of each simulation session. The program allows you to find out how operators perform on the simulators. Hundreds of different benchmarks are built in to the program, based on data compiled by Caterpillar expert operators. The trainer will explain how to read the results of these benchmarks; explain why they are measured; and show you how to change these benchmarks. Create a unique “account” for each simulator user, with a unique user login name and password. Use the simulator in practice mode until ready to record in test mode. Print detailed reports for the class, individual student, specific exercises and more. Save performance results as an individual record within a database under user accounts. Restrict access to simulation results in the database according to need. A student can only review his/her simulation results, but instructors can review class results. An administrator can view all accounts. Organize users into “classes” to utilize a single computer for different simulation software applications. Manage simulator usage by authorizing different classes to use different simulators on the same training computer. Allow simultaneous operation of multiple simulator training stations. Network one instructor or administrator computer to allow data captured from multiple simulation stations. How to utilize the companion eBook/iPad material to extend the training experience beyond the simulator (for applicable models). Created as an app for the iPad, the interactive eBook contains a wealth of topics to educate the user and work in tandem with the simulator training. Call 1.877.434.7467 (in US) or 1.309.266.2640 to find out pricing information (based on location and number of simulators purchased).